On Thursday, the Centers for Disease Control (CDC) issued a report showing that 1 in 38 children ages 1-5 years had levels of lead in their blood at or above harmful levels (i.e., the reference level of 5 micrograms per deciliter). As disconcerting as this statistic may be (because lead produces a range of adverse health effects, such as neurological damage), it reflects a continuing downward trend in blood lead levels stretching back decades. Federal regulations are a, if not the, major reason for this positive trend. In the 1980s, lead was phased out of gasoline. 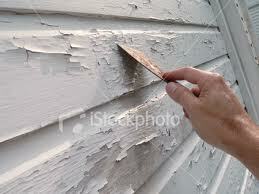 Lead-based paint in homes was phased out by 1978. Lead in children’s products has also been phased out. These efforts—all driven by federal regulation—are believed to have worked because of ongoing monitoring of lead levels in blood. According to the CDC report, in 1976-1980, 88% of children 1-5 years had blood lead levels greater than 10 micrograms per deciliter. This percentage dropped to 4.4% in 1991-1994, and to 0.8% in 2007-2010. Sometimes, regulatory programs work.